Portland Swim Spas – with the addition of TidalFit Swim Spas, Oregon Hot Tub now becomes one of Oregon’s largest retailers of hot tubs, spas, saunas and swim spas. Oregon Hot Tub, a HotSpring Spas dealer selling new and used hot tubs with stores in Portland, Beaverton, Bend, Clackamas and Vancouver, WA, is adding to its prestigious line of hot tubs and saunas by adding TidalFit Swim Spas. The advantages of owning your own backyard swim spa are numerous. Unlike a regular backyard pool that gets used for just a few short months every summer, a heated swim spa can be used year-round. In addition, the TidalFit Swim Spas were designed for both exercise and relaxation. The advantages of exercise are of course well documented. But along with traditional exercise come the inevitable sprains and sore muscles. These injuries happen for a variety of reasons, but many occur due to the amount of weight and strain we put on our bodies. Exercising in a swim spa eliminates much of the strain because the buoyancy reduces our body weight by as much as 90%. 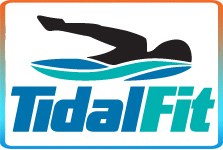 “Regular exercise in a TidalFit Swim Spa can help avoid or address diseases like arthritis, obesity and stage II diabetes. Even short workouts in your swim spa can help improve your cardiovascular fitness, relieve back pain and help you sleep better,” continued Doornink. “To encourage people to check out the benefits of owning their own swim spa, Oregon Hot Tub is providing free swim spa wet tests. We do recommend however that people wanting to schedule their free 30-minute test call us ahead of time to reserve their spot,” said Dave.